The ultimate critical biography of the King of Pop: a panoramic, vivid, and incisive portrait of Michael Jackson that explores and celebrates his influence in music, dance, and popular culture, drawing on 400 interviews. From the moment in 1965 when he first stepped on stage with his brothers at a local talent show in Gary, Indiana, Michael Jackson was destined to become the undisputed King of Pop. In a career spanning four decades, Jackson be-came a global icon, selling over 400 million albums, earning thirteen Grammy awards, and spinning dance moves that captivated the world. Songs like “Billie Jean” and “Black and White” altered our national discussion of race and equal-ity, and Jackson’s signature aesthetic, from the single white glove to the moon-walk, defined a generation. Despite years of scandal and controversy, Jackson’s ultimate legacy will always be his music. 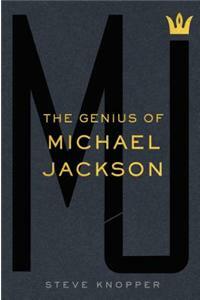 Rolling Stone contributing editor Steve Knopper delves deeply into Michael Jackson’s music and talent. From the artist’s early days with the Jackson 5, to his stratospheric success as a solo artist, to “Beat It” and “Thriller,” “Bad” and “The Man in the Mirror,” to his volatile final years, his attempted comeback, and untimely death, Knopper explores the beguiling and often contradictory forces that fueled Michael Jackson’s genius. Drawing on an amazing 400 inter-views—ranging from Jackson’s relatives, friends, and key record executives to celebrities like will.i.am and Weird Al Yankovic—this critical biography puts all the elements of his career into perspective, and celebrates his triumph in art and music. This is a rare and panoramic view into the genius and influence of an incomparable talent. Steve Knopper is a contributing editor to Rolling Stone and veteran mu-sic reporter who has written for TheNew York Times Magazine, GQ, TheWall Street Journal, National Geographic Traveler, Wired, Details, and many other publications. His book, Appetite for Self-Destruction: The Spectacular Crash of the Record Industry in the Digital Age, was prominently featured on NPR’s Fresh Air and dozens of other promi-nent radio and TV shows; Tom Hanks called it “amazing.” He has been a featured expert source on NBCNightlyNews, CNBC, NPR’s Marketplace, among others. He lives in Denver with his wife, Melissa, and daughter Rose.